EHealthMSO is a full-service medical transcription company providing overflow and total outsource transcription to individual doctors, medical centers, clinics, and other medical facilities throughout the United States & Canada. Regardless of file size, volume or type of dictation entrusted to us, we pledge to provide you with the highest standards in the industry for performance, integrity and service satisfaction excellence. All our medical transcriptionists are split into specialist teams. Each Doctor is allocated an individual transcriptionist in order to ensure quality and consistency through familiarization on a regular basis. Every transcript completed by our resource person go directly to Quality Control Department where it is checked again word by word against the original dictation by a senior resource person known as a Quality Control Editor. eHealthMSO medical language specialists are the key in providing consistently “customer grade” reports. Prevailing transcription processes are there to ensure that high-quality reports are consistently delivered within the contracted turnaround time. Our Transcriptionist team is also trained to manage meaningful use dashboard. They input all the required fields to meet quality measures by CMS (Center for Medicare and Medicaid Services). The transcribed document pricing is based on the total lines – a line is defined as 65 characters including spaces. For obvious reasons we are unable to publish specific security details here, however, rest assured we take security very seriously to ensure we not only meet but exceed all HIPAA regulations relating to Electronic Transmission of Patient Information. We own our own secure medical servers with full level security. Both dictations and completed transcriptions are transferred using the very latest encryption methods. E-Health MSO offers one of the unique services for the health care professionals, facilities and Hospitals. For Radiology procedures there is a requirement of prior-Authorization from their insurances. It is usually a responsibility of the ordering physician to obtain Prior-Authorization. On the other hand if Facility performs the Radiology procedure without verifying that the necessary authorization has been obtained, they may result in non-payment and bear a practice lost. 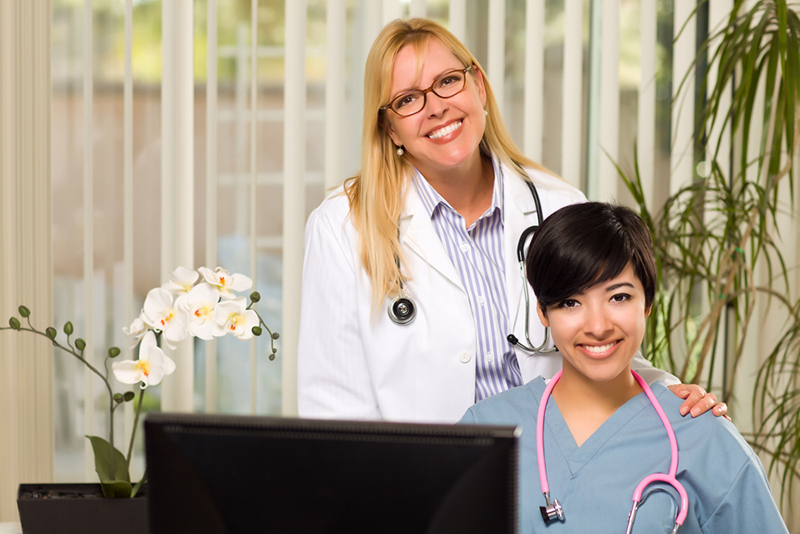 E-Health is providing prior-Authorization services on behalf of ordering physician / facility. E-Health will take prior Authorization Advanced Imaging and Nuclear Cardiology Studies. E-Health MSO is currently offering following services to our valuable clients. Ehealth MSO is proud to state its prestigious healthcare back office services worldwide. Ehealth MSO Office management administrative team handle, control, and maintain all processes of work inside your office ranging from big to small, which is necessary to achieve your organization’s administrative goal. Teleradiology is a growth technology given that imaging procedures are growing approximately 15% annually against an increase of only 2% in the Radiologist population. eHealth MSO is a revolutionary and leading provider of offsite Teleradiology Services from experienced and distinguished doctors with fast turnaround times. We are equipped with latest state of the art transmission technology to transmit to off site location of data of radiological patient images, such as x-rays, CTs, and MRIs, for the purposes of interpretation and/or consultation. Withdedicated network of partners with diagnostic centers, individual radiologists, hospitals, medical groups and other entities requiring distant, off-site reading of diagnostic imaging studies by using our Teleradiology Services. Using a multi aspectsmethodology, we have the dedicated team of experts to configure, install and maintain the digital technology necessary to implement remote reading of imaging studies. We also link our clients with well-qualified & well-trained radiologists who are available to provide nighthawk services from across the world. With our state of the art infrastructure and expertise we can provide round the clock, reliable and efficient service to our clients. With a unique standards of services – We strives to maintain the highest possible quality in everything what we do, through continuing improvement programs and corporate social responsibility are both key aspects of its existence. e Health MSO offers affordable Medical Equipment Leasing and Financing options to its clients, ideal for medical practice start-up and for established healthcare practices which are looking to upgrade. We help our clients to build their practices more sophisticated and equipped with the medical supplies purchased through e Health MSO Practice Start-Up Financing services. e Health MSO also offers medical equipment installation services. As a broker representing our clients, we look to find any and every possible savings for our physician and surgeon clients purchasing medical malpractice insurance. One often overlooked savings opportunity for medical malpractice insurance coverage is discounts available as a member of certain medical societies. E Health MSO provides the negotiation of contracts services to its customers with HMOs and PPOs. The contracts we negotiates on behalf of our clients usually involve a few level of financial risk sharing between the health plan and the IPA/PHO. The negotiation of health plan contracts involves assessment of various risk models to determine which would be most beneficial for our specific client. Doing so involves analyzing historical data for IPA/PHO physicians, as well as making projections of future performance. Let us increase your profits while you expand your practice by collecting the maximum revenue for your practice as efficient as possible while helping to alleviate costs and hassle for your organization. e Health Medical Billing and collection services are highly commended by the physicians for its trained and expert staff and a custom build suite of its online medical practice management software to compensate them reliably and efficiently. Our goal is to provide a peace of mind to our clients in terms of their billing matters by assisting in the whole billing process and make it effortless for them. Our experiences billers will make your billing process smooth with an increase in your overall collections and pursuing the denials assertively for the generation of payments. We have perfect solution for everything you do in terms of documentation of the patients like data entry and customer record management. Our online electronic claim submission system is connected to more than 4000 payers to submit them the claims with simple one click right from our application. We ensure uninterrupted flow of payment through reviewing and monitoring all the claim submissions accurately incase of changing payer requirement with the help of our highly professional EDI team.